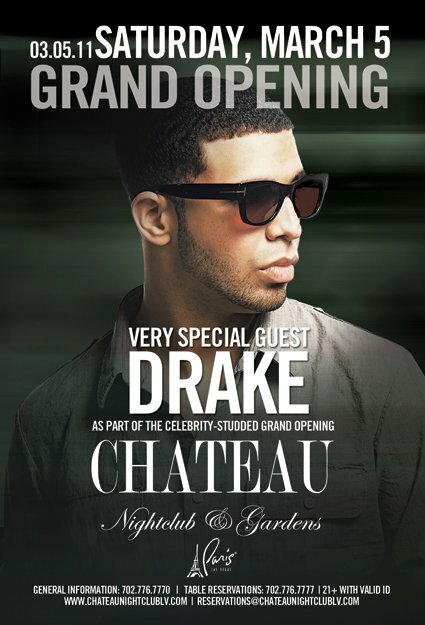 Drake to Host the Grand Opening of the Chateau Nightclub in Las Vegas, March 5. Photo via Chateau Nightclub & Gardens’ Facebook. « Caron Butler and DeShawn Stevenson of the Dallas Mavericks Welcome Home Celebration at LUX Lounge, DC.